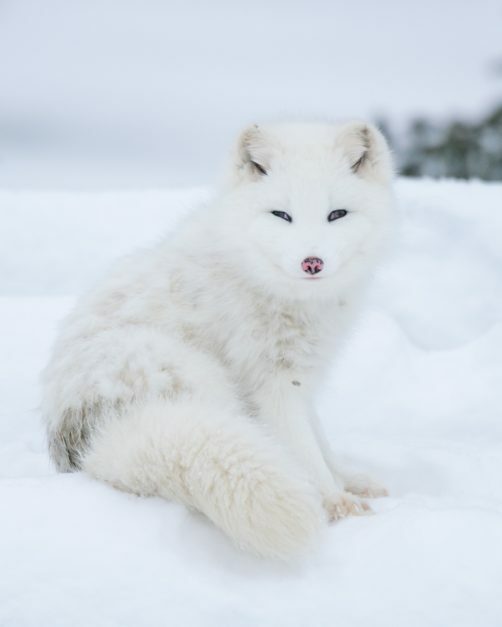 Tundra animals of the Canadian Arctic are fascinating. How do species manage to thrive in extreme conditions reaching temperatures of minus 50 degrees? We've been lucky enough to travel to the Arctic a few times and we've also had the privilege of visiting some pretty special wildlife sanctuaries to get up close and personal with tundra animals that often remain elusive and hard to see. 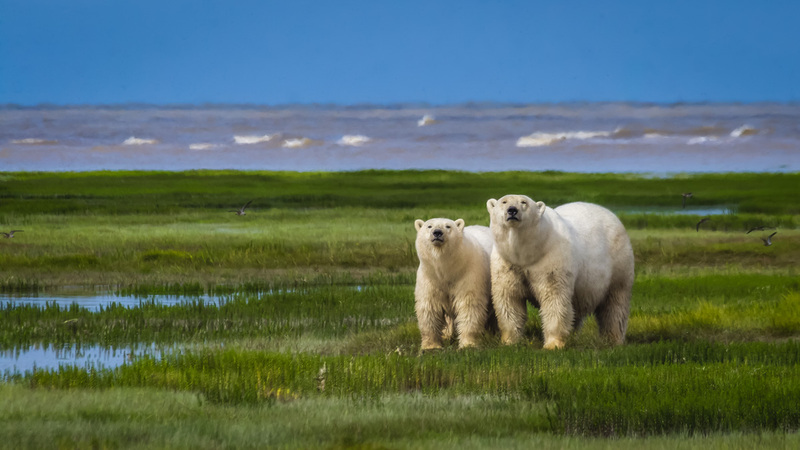 We've had the privilege of witnessing polar bears on The Hudson Bay twice with Churchill Wild. Once in the summer at Nanuk Lodge and once in the winter at Seal River Lodge. But there is a lot more to see than just polar bears, the Arctic is alive with animals scurrying around. 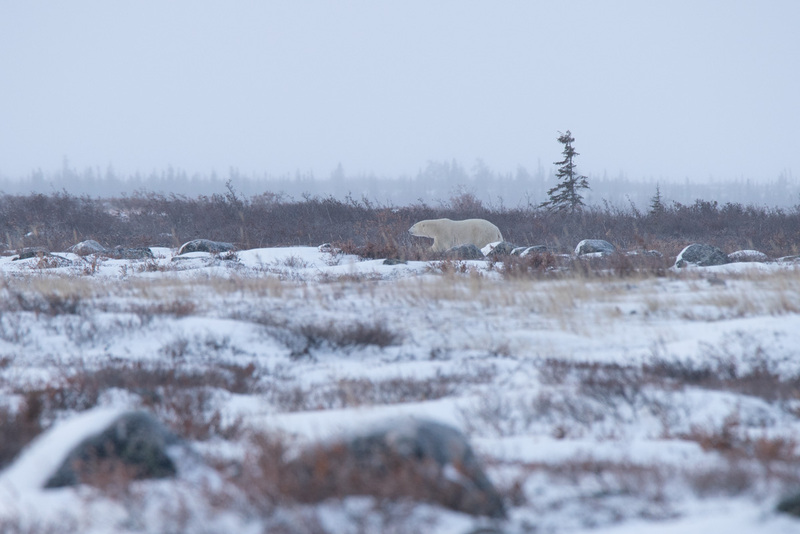 If you can't make to Churchill, Manitoba a visit to Parc Omega in Notre-Dame-de-Bonsecours in Quebec is a must. 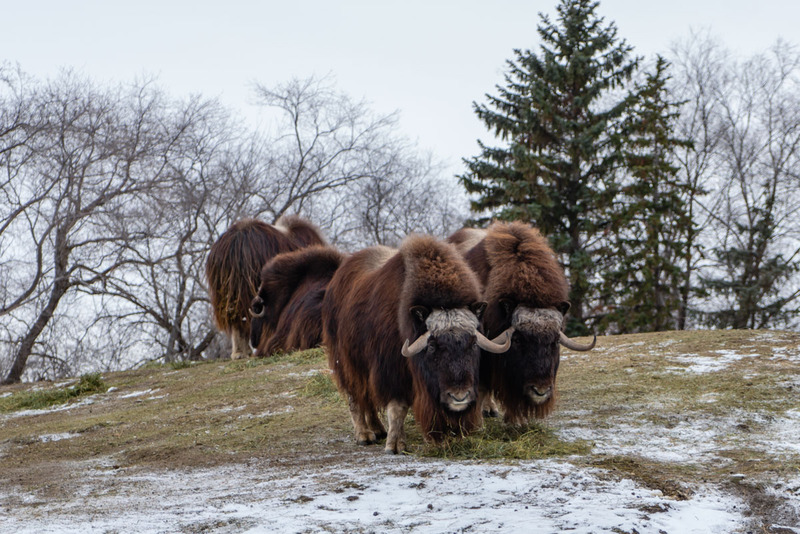 The animals we didn't see on the Tundra are living in a sanctuary just north of Montreal. It was combining our latest trips to the north that we really got to know the animals of the Arctic tundra and witness them frolicking in their natural habitat. 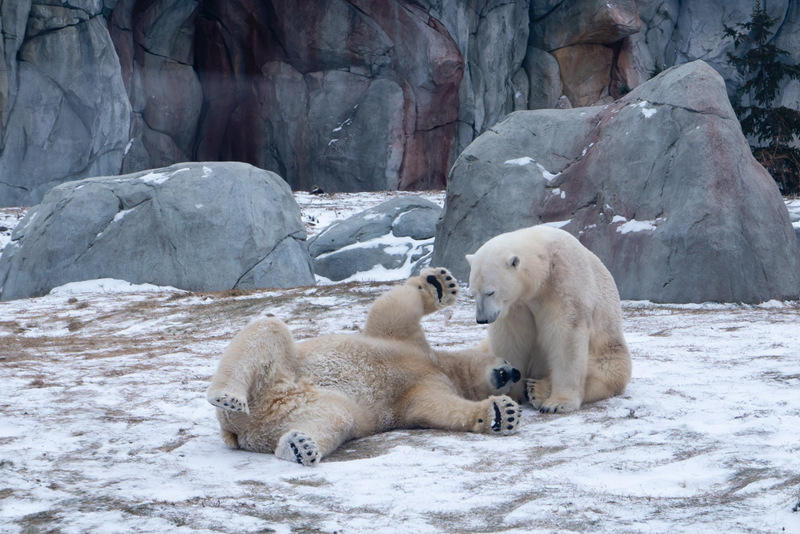 It was our second polar bear safari with Churchill Wild. Our first took us to the shores of the Hudson Bay in the summer where we witnessed mother's and cubs relaxing in the balmy weather. During our daily walks around Seal River Lodge, the Arctic landscape was filled with life. Arctic foxes played on the frozen bay and ran around the lodge like it was their own private headquarters. Arctic hares hung out by the airplane runway and surprisingly, ravens thrived in the -40-degree weather we were experiencing. When going on an arctic expedition or polar bear safari, it's just as exciting as an African safari, but there is a lot more to prepare for. Dressing properly is a must. Luckily, Churchill Wild supplies winter gear weather for those who don't want to drop $1500 on an arctic parka for a one-off safari. They rent a parka, snow pants and winter boots. Everything needs to be rated to 50 below! Be sure to bring hand and toe warmers and be sure to layer. Read our Layering Tips to beat the deep freeze to see how to pack for a trip to the Tundra in winter. 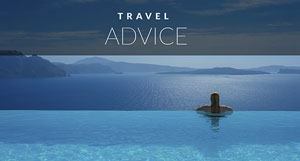 A balaclava is a must and ski goggles will keep your face warmer than sunglasses. The Hudson Bay froze early this year and what is normally a legendary spot called the Polar Bear Highway, was empty of any sign of life save for one lonely bear in walking away from us in the distance. That's okay though, polar bears have been suffering over the years due to climate change, and the early freeze means they were able to get out on the ice early to start hunting. 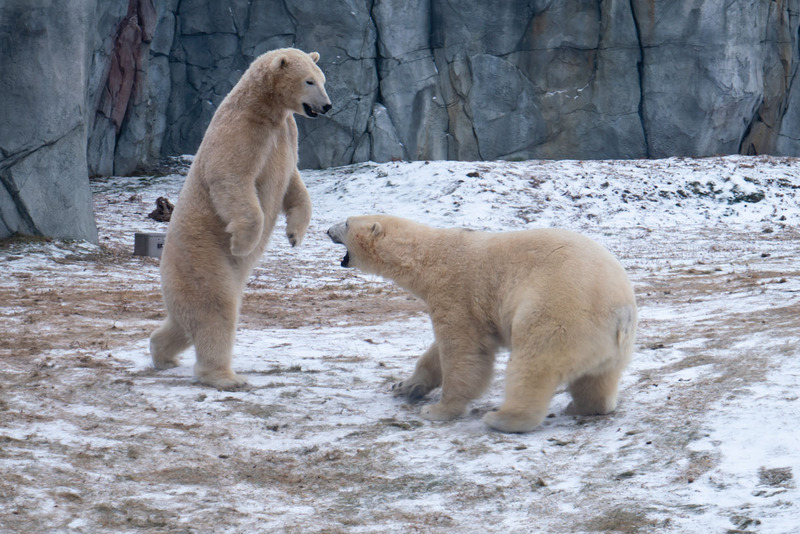 When we talked with the polar bear experts at the Assiniboine Zoo in Manitoba, they told us the thaw was a good thing. It means they probably wouldn't get any orphaned polar bear cubs since the bears on the tundra were healthy and hunting this year. For us, it meant we missed the polar bear traffic by two weeks, but for others, it meant they saw more than they expected. But going on an arctic safari isn't all about the polar bears. The Arctic tundra is filled with life. It is amazing how animals can survive extreme conditions. They adapt to severe cold and thrive in balmy summers. 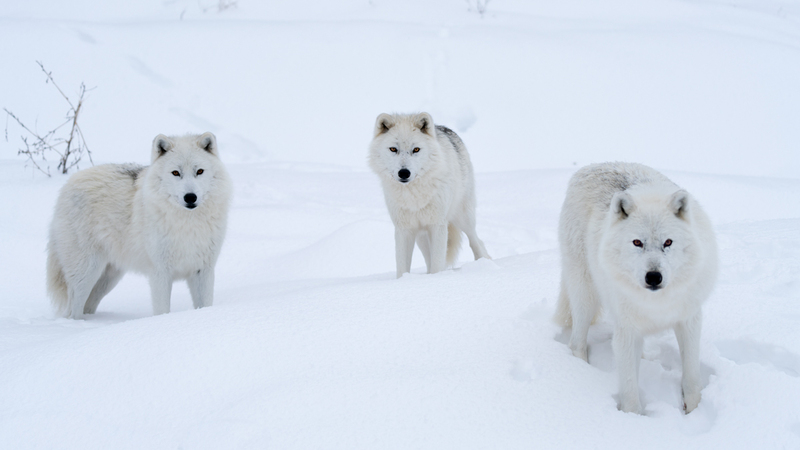 We hope you enjoy this photo essay of tundra animals from the Canadian Arctic. 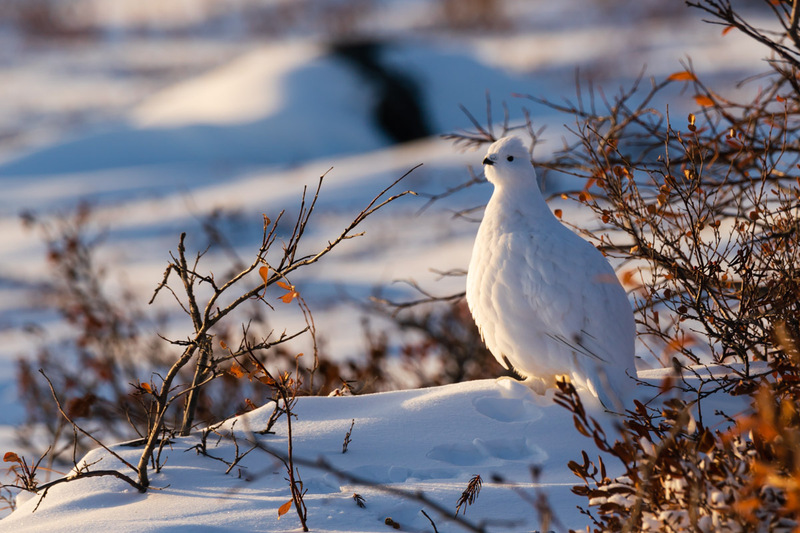 We saw a lot of Ptarmigan during our walks with Churchill Wild. Whenever the wildlife was scarce, our guides would take us over to the shrubs where the flock was hanging out. We could get quite close to these members of the grouse family who had their white winter plumage on display. Fun fact, in the summer, these beauties are brown to mix with the tundra. 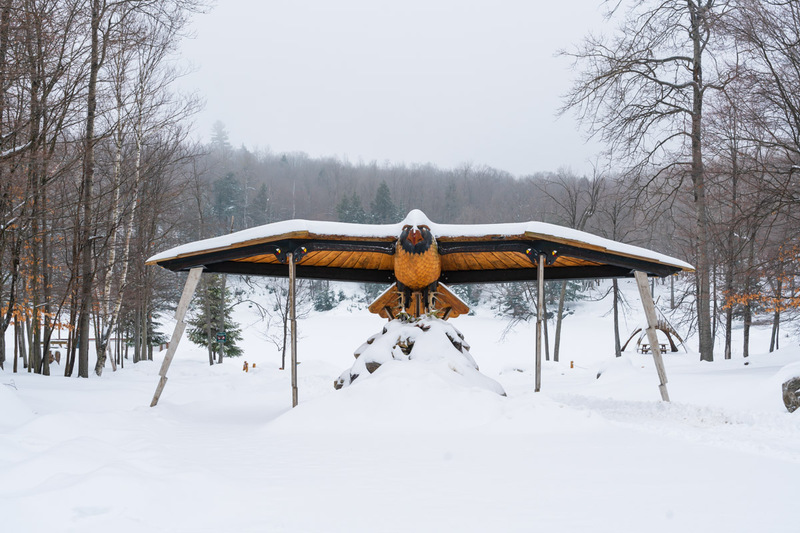 While exploring Ottawa in winter, we took a detour to Parc Omega in Quebec. 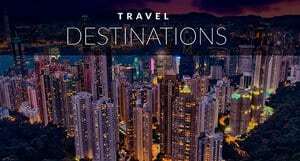 It's just a 50-minute drive from Ottawa or 30 minutes from Montreal. We were greeted by our guide Serge Lussier who specializes in conservation. He has worked with the gorillas in Rwanda, Pandas in China and has countless credentials in wildlife and zoo management including being the current director of Canadian Association of Accredited Zoos and Aquariums. Right now he is back home in Quebec working as a consultant for Parc Omega. We were honoured to have him as our guide for the day. Something we loved about Parc Omega in Notre-Dame-de-Bonsecours is how it has recreated the Arctic landscape. Serge helped to design a lot of the habitat within the park. He said that he wouldn't bring an arctic animal to Parc Omega if they didn't have the habitat for them. The mountain goats we saw were new to the park. They were perched atop a high rocky hill and looked right at home. 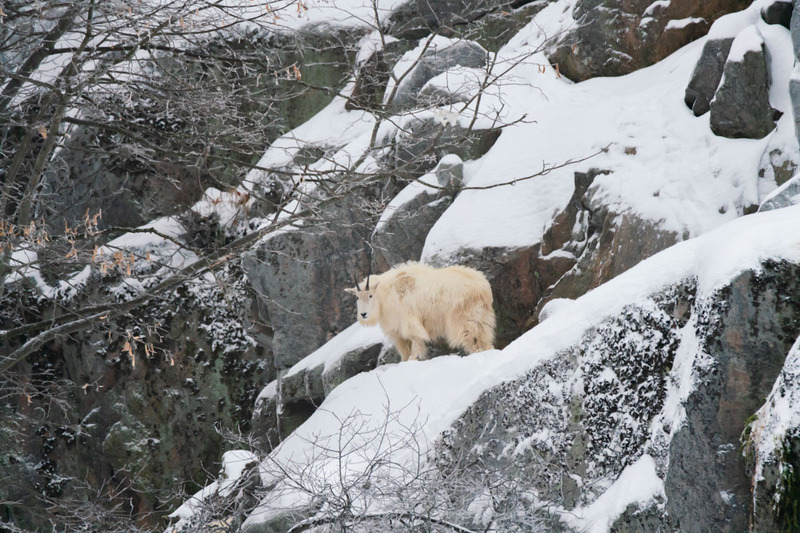 Since mountain goats normally live at high altitudes, this is a good alternative for them to live out their days. We have wanted to see Caribou of the Arctic for years. We saw the Woodland Caribou on the slate islands of Lake Superior in Ontario, but after three trips to the Arctic, we haven't had a lot of luck with caribou. We saw one on the Dempster Highway but when visiting northern Manitoba, the rest of the Yukon and Northwest Territories, we haven't seen them. Parc Omega has a herd of caribou that we could watch from the comfort of our truck. 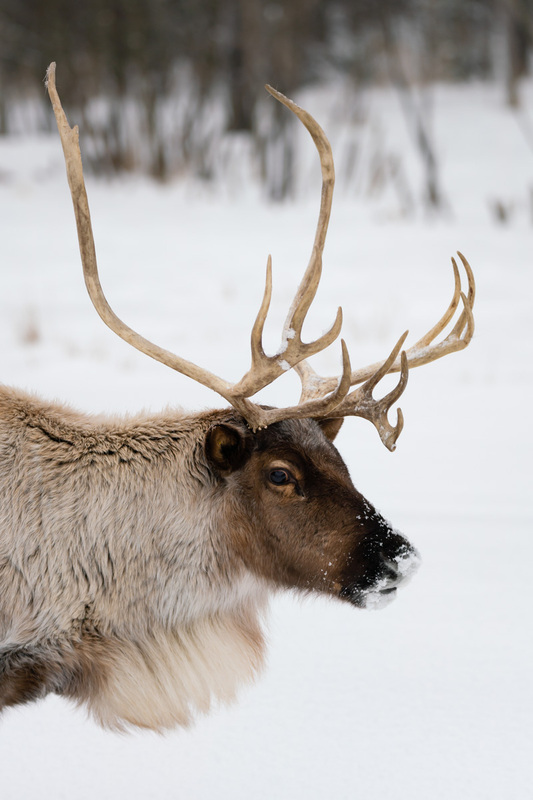 Known as reindeer in Europe, Caribou are native to northern Canada, Northern Europe and Siberia. 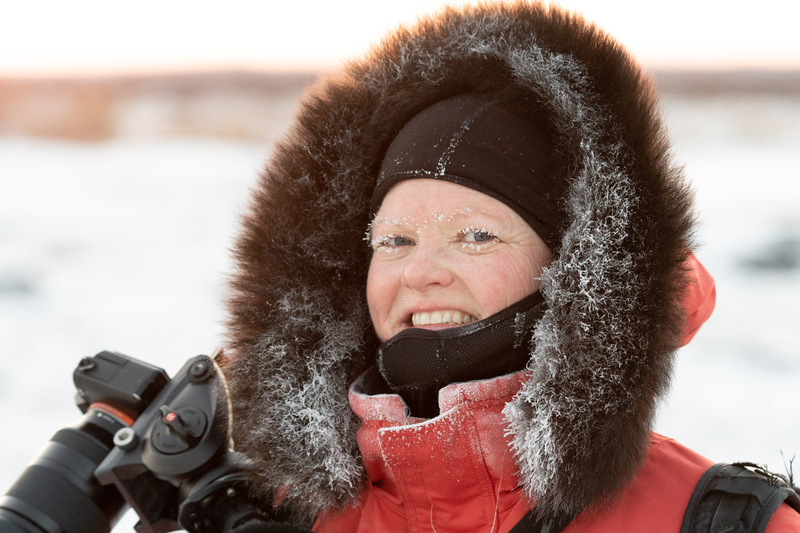 While up in Churchill, National Geographic had a team at our lodge filming the arctic fox. They are fast creatures that scurry about and we had a difficult time capturing a shot. 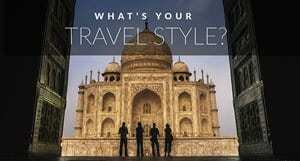 Especially since NatGeo had cornered the market on the best spot to watch them! So when we visited Parc Omega, we were thrilled to see a skulk of Arctic foxes relaxing on a hill. We were lucky to be out early in the morning when they were most active because when Dave and I drove back later on our own, they were burrowed away somewhere fast asleep for the afternoon. It was our first time seeing an arctic wolf. 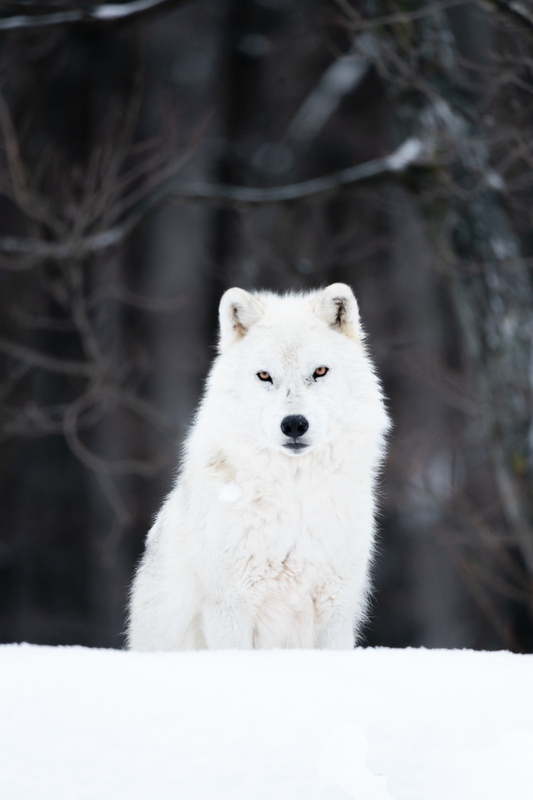 We have seen wolves before, but never have we witnessed the beautiful coats of the Arctic wolf. 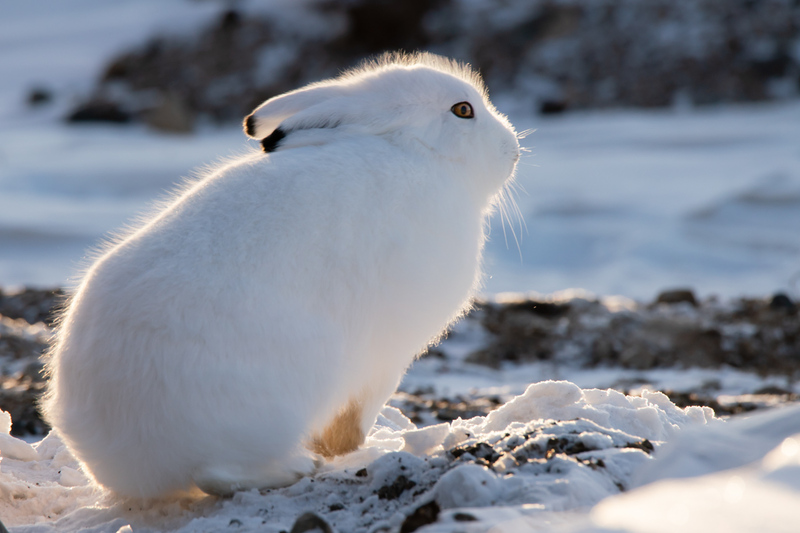 The coats are white year-round allowing them to blend with the snow and they feed on caribou and arctic hare. When visiting Hershel Island in the Yukon, we saw one Muskox in the distance. Our guide took us on a hike to the hill with hopes that we'd see more or get a closer view, but alas, we never did get a better view. But Parc Omega has a Musk Ox and we finally saw a couple munching away in their corral. I often mix up elk with caribou or deer. But an elk is much larger than both. 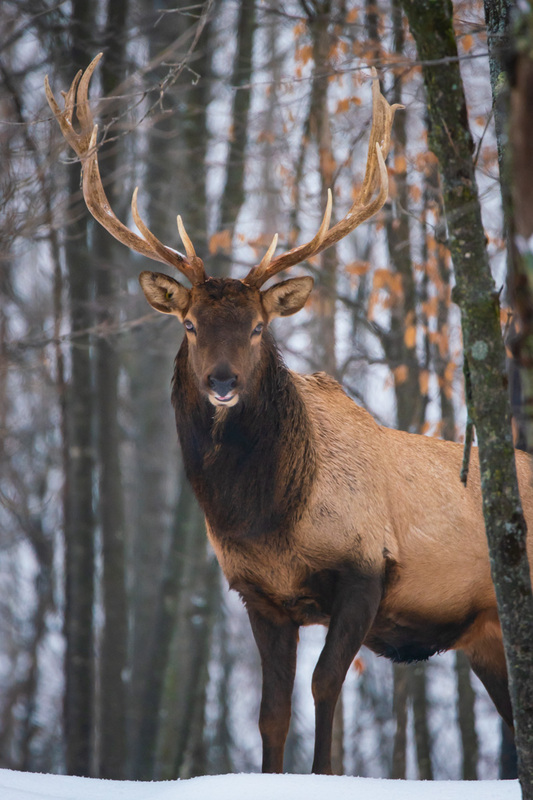 The elk is related to the deer but more majestic. When visiting Parc Omega, the elk were just starting to shed their antlers, but we managed to capture one that still had them intact. Elk shed antlers yearly. They fall off in winter and grow anew in the spring. By the end of summer, they are fully grown and the velvet covering the antlers is rubbed off by fall. And there you have it. 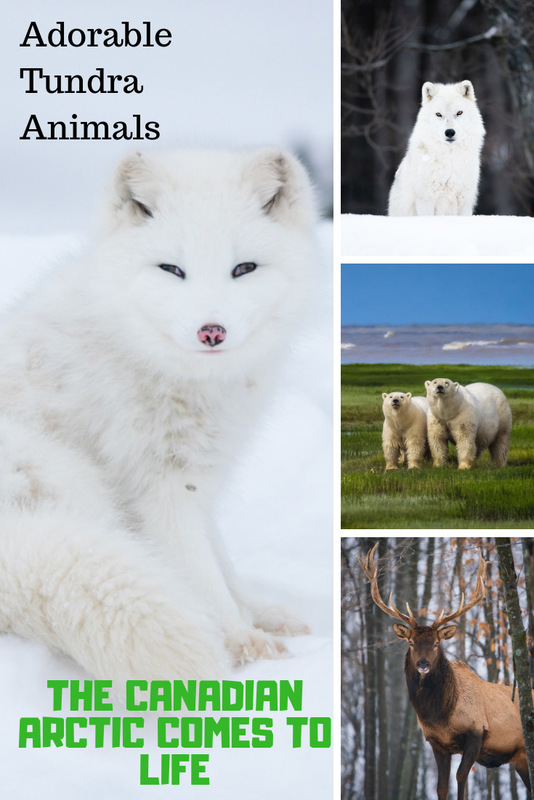 These are the Tundra animals we have seen from various trips to Northern Canada and Quebec sanctuaries. Canada is an amazing place for spotting wildlife. Where is your favourite spot for a wildlife safari? 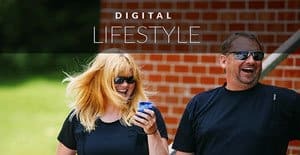 If you liked this post why not Pin it on Pinterest? One Response to "Adorable Tundra Animals – The Canadian Arctic Comes to Life"